I had scheduled posts for those days when we were having a fun time in UK(more of that in another post! )hoping that I'll be full of enthusiasm when we're back and will be blogging with a bang.Sadly none of that happened and my page showed the same post for over a week now.I decided to buck up and make/bake something as I was getting restless without blogging/baking. Remember this review of Anjum Anand's cookbook?Well,I had bookmarked this recipe from her book to try soon.Only thing,I had not read through the recipe and assumed it was a butter biscuit recipe.Turns out,it is our humble rusk which she mentions as a tea biscuit.No worries,rusk happens to be a favorite here,so I was a happy person,nevertheless. Making rusk is a simple process.Much like the Italian Biscotti,it is twice baked.First you bake a simple vanilla cake.Cut it into thin slices and bake again till it crisps up.Dip in tea and serve.Pure bliss,is what it is. Preheat oven to 180C.Grease and line a 7' square tin. Beat together butter and sugar till soft and fluffy. Beat in one egg at a time and mix in the vanilla. 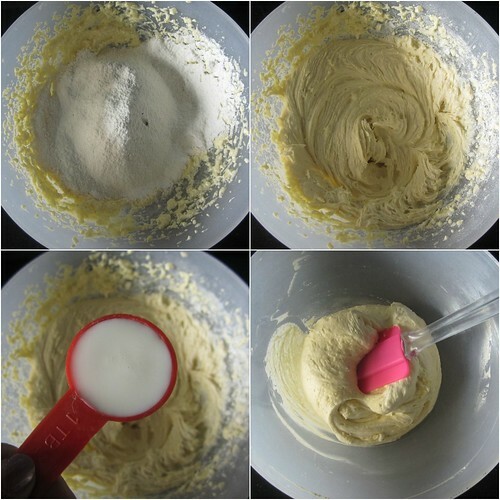 Sift together flour,baking powder and salt and mix it in and beat till you get a smooth batter. Add milk and give a final mix. Pour the batter into the prepared tin and bake for 30-35 minutes or until golden brown and a toothpick inserted comes out clean. Let the cake cool in the tin for 10-15 minutes. Remove the lining and cut the cake into 3 vertically and then further into 2' slices.Keep the slices cut side down on a tray and bake again for 30-35 minutes on 170C or until dark brown and crisp. The original recipe calls for spicing up the biscuit with cardamom or ginger,I chose Vanilla. The biscuit tastes delicious plain but I was itching to add some dried fruit or nuts or tutti frutti. 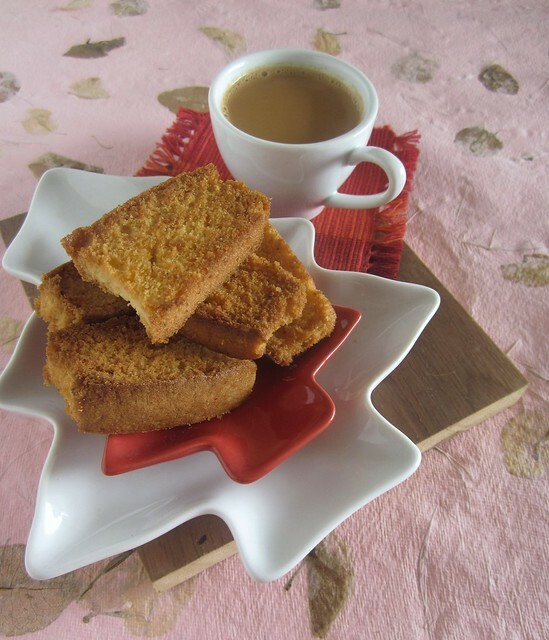 Love Rusk any day,it's a must have in my kitchen to have wid my morning tea ...looks nice..never attempted though.. This looks such a perfect rusk!! We used to call these cake rusks, the sweeter cousin of the "dry, only-for patients" rusk!...loved them to the core.....saving ur recipe!! 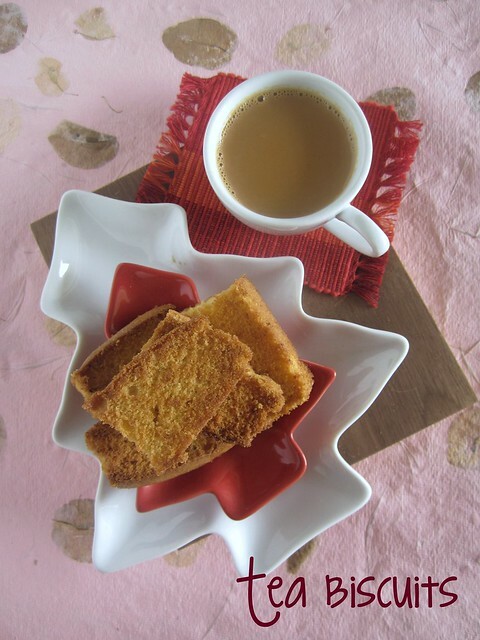 rusk and tea are perfect for evenings ! thanks for the recipe ! Omg, love love this rusk, my all time favourite. Can we replace egg in this recipe with milk or curd? 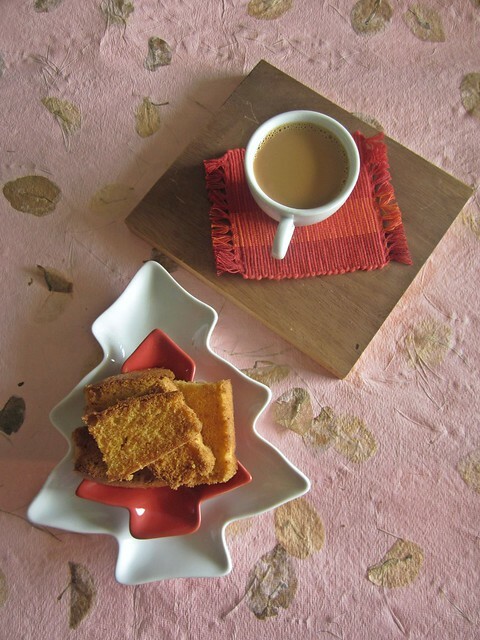 rusk and chai is an evergreen combo for us, any time of the day.